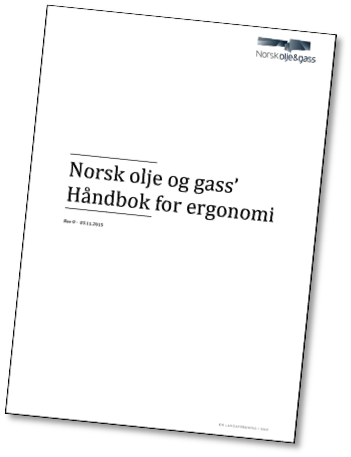 HFS is pleased to advise that the Norsk Olje og Gass (The Norwegian Oil and Gas Association) publication «Håndbok for ergonomi» is now available, in Norwegian, from THIS LINK. The handbook has been developed by Ergonomics professionals from within the Oil and Gas Industry. HFS’ role was to lead and facilitate the work. The handbook provides ergonomic goals and principles, an overview of generic ergonomic methods, specific offshore related challenges and ergonomic tools.